This Doe was on the field edge when I was driving out to take down my treestands and she was kind enough to stop for multiple photo's. This is my second year of bow hunting am I was blessed with this nice 10 point. He was aged at 5 1/2 and field dressed at 180. Taken on Ft Drum NY on 11/22/04. This is a first for me in posting a picture so am hoping that it works. 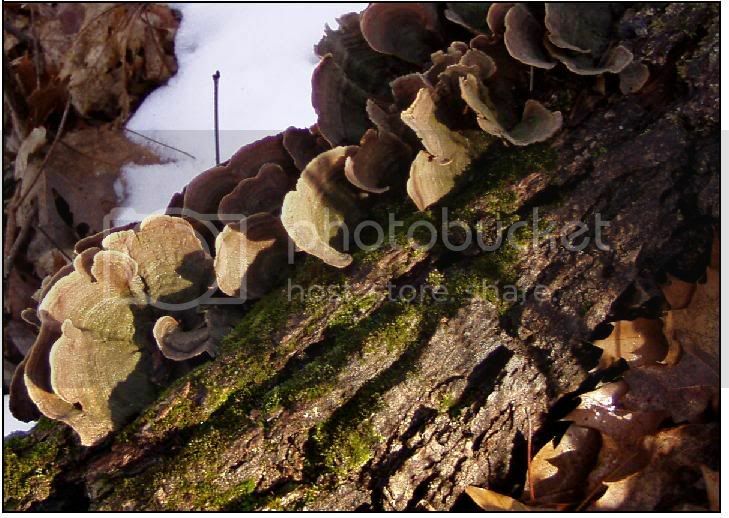 Some Signs Of Life In The Winter Woods. Just a plain pic, but taken a few weeks ago on public land. It shows a snow covered wheat field with woods around it. 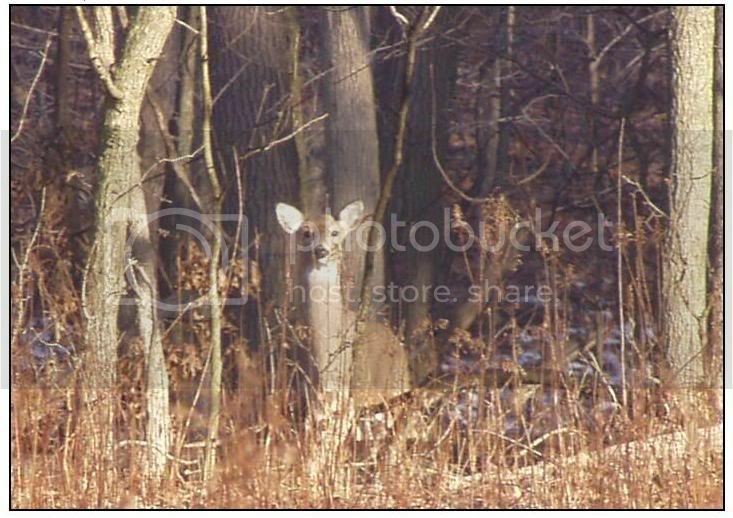 I took a nice 9 pointer a few years ago at the back of the field on the left hand side in late October. I don't hunt here often, probably should. Lady Forge, I love your picture. That is just plain beautiful! Okay guys, the 04 season is over and thus the contest is closed. I'm going to work up a nice big showpiece with all of our pictures for the main page of HuntingNet, and then we'll judge the best ones and send out some goodies to the winner. Thanks for all the great photos everyone. We're looking forward to even more in 2005.